Welcome to the first weekend of 2014! If you're still hungover from ringing in the new year (you animal), we've got the science behind hangovers and a bunch of ways to cure them, along with creepy sea creatures, an unsettling Snapchat hack, and how Daft Punk may have stolen a trademark sample. What a year! Yippee! 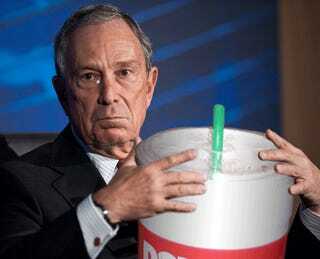 Let's poison ourselves with beverages that will make us violently ill! It was your battle cry last night, and today you're paying the price. But what is that hangover you're experiencing, exactly? When you travel the world, having a few drinks with your hosts is a great way to get a sense of the local culture. But excessive alcohol consumption can cause physiological consequences. Don't worry—a hangover is universal, and your new friends probably already know a way to cope with it. 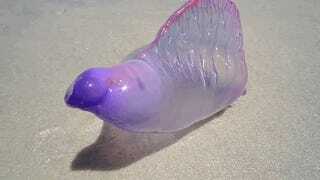 Say hi to the Portuguese man o' war. It's purple, it's clear, it looks like a balloon, it's painfully venomous, but it's not a jellyfish and you wouldn't have to convince me too hard that it's from an alien world. This Portuguese man o' war, which other than being a fantastic name, washed up on a beach to freak people out (and to expose the alien hideout that is the ocean).